What are real estate scripts? I get so confused when I see agents constantly asking for a “script” to use. How can you script for a conversation you have not yet had? Do you want to stat converting more of your real estate leads? Then stop using real estate scripts and start being real. There is extreme power in demonstrating your authenticity. 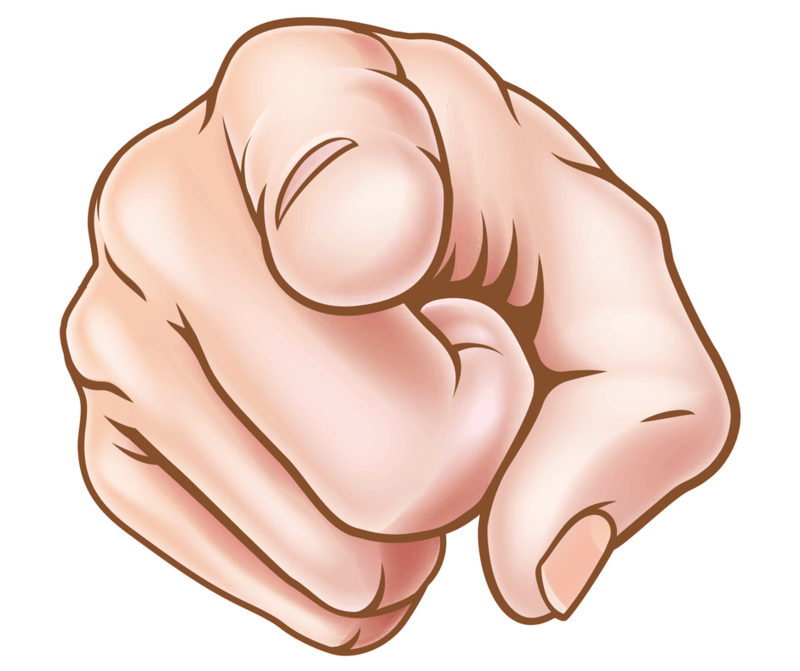 I want you to try and put yourself in the shoes of a buyer or seller. Imagine you get called by a real estate agent and they are reading off a script. It’s no different than when you get cold called from a call center in India. You can hear the “boiler room” in the background and what sounds like hundreds of “script readers”. It’s an immediate turn off to most people and spotted a mile away. The key to conversion is not persuasion, it’s conversation. Most people determine in the first 30 seconds of communicating with you if they will continue the conversation or engage in it. If they do, you have a better chance of building trust and ultimately setting an appointment. You want to know who converts the most amount of leads? Agents who don’t use real estate scripts and instead focus on connecting rather than selling. The key to converting more leads is through the power of authenticity. People don’t want to be sold, they want to be served by a living breathing human being, not a robot. How you say something is more important than what you say upon initial conversation. 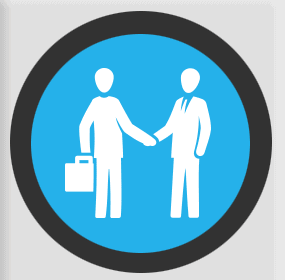 Start focusing on connecting vs. selling for your initial lead intake. 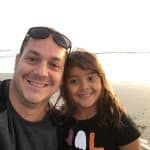 So how do you ditch real estate scripts and start connecting through being more authentic? You deliver your authenticity through your tone and body language as much as possible. Just be you. Using autoresponders utilizing video email and/or text messaging vs your traditional email autoresponder is where you start! Think about it. Text and video email allow you to respond personally while humanizing your brand. That is what connects with people! However, that’s only half the battle because you need to be able to educate or create value at the same time. You do this by knowing what their current needs are. What do buyers and sellers want today from a real estate agent? People today don’t NEED an agent to buy or sell a house, but over 85% of consumers still preferred to use one. To confirm a wise buying or selling decision. So what does this have to do with real estate scripts? Everything, because your real estate script should focus around helping people with what they are calling you for. What do they want to know that they cannot find online? This is where the power authenticity comes into play. Consumers want to trust you, it’s just sometimes they can’t if you are reading some real estate scripts that sound off the salesman radar. Quit being a Realtor and start being a RESOURCE! You need to know your market inside and out so you can speak intelligently on it. People don’t need you to find houses for sale anymore. Don’t believe me? How many of your clients send you the properties they want to see because they saw them on Zillow or some other app? Exactly my point! Our role has become more of an advisor of real estate values as opposed to being the one who found them that property. Start by repositioning yourself as more of an investment strategist vs. a Realtor. We no longer are in the business of finding properties for people to buy as we are to confirming those very buying decisions are wise. For buyer leads, I tend to want my conversations focus more around displaying my local expertise without having to say how awesome I am. We know that buyers are looking to get a good deal. Therefore, be the one who can help them achieve that investment. My goal on a buyer lead is to demonstrate how to make an investment out of their purchase. What I want you to get out of this example is my tone. I don’t change for a second in my tone or personality because I have a good lead on the phone. I talk to strangers no differently than I talk to my best friend. Most people decide right away if you are genuine or not. This is why text messaging and video email are having such a positive effect on conversion and creating engagement. It feels real and authentic. Upon initial lead intake, text or video can help humanize your brand and build your authenticity. Then your real estate education creates value(education part) and earns trust(being authentic) so you have a better chance of getting a face to face meeting and doing a buyers consultation. Click here to see how to weed out the tire kickers. Find out about the things that most buyers don’t know in your market and educate them on it. All you need to do is share something with them they most likely didn’t know. All these have in common? They are common questions every buyer has. When speaking to sellers, I take on a different approach focusing the content of our conversation more on facilitation. What do you do that other agents don’t? What can you do that a seller cannot do with Red Fin or some other discount broker? If you want to start converting more sellers, you need to sharpen your marketing skills and create a true value added proposition. Putting a sign in the yard and a MLS listing is not a marketing plan anymore. The MLS is no longer your secret weapon. For this reason I like positioning myself as a marketer vs. a Realtor. If you don’t have a REAL marketing plan, what is the point of hiring you? This is going to be the #1 differentiator between the good, the bad, and the ugly in terms of service Realtors offer the public on the listing side. Don’t believe me? 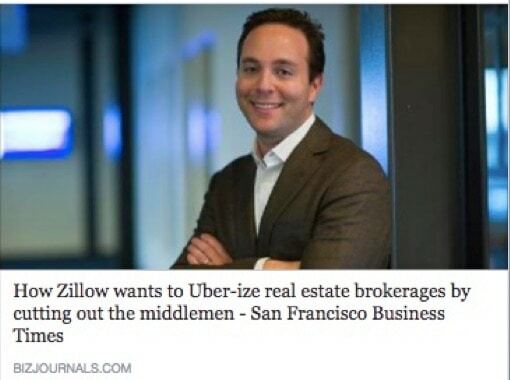 Just follow what Zillow and most recently, Red Fin, are doing. Your “real estate scripts” should allow you to enhance your value proposition to working with you. I focus entirely on talking about positioning. You can read all about it here. Positioning is the strategy behind selling a property. It’s the remarks you use, pictures you take, and way you optimize it to the public. For example, I’m not going to talk about the school system when I am selling a bachelor pad, am I? In marketing, positioning is EVERYTHING! Again my goal is to create value, not try to sell them on anything. 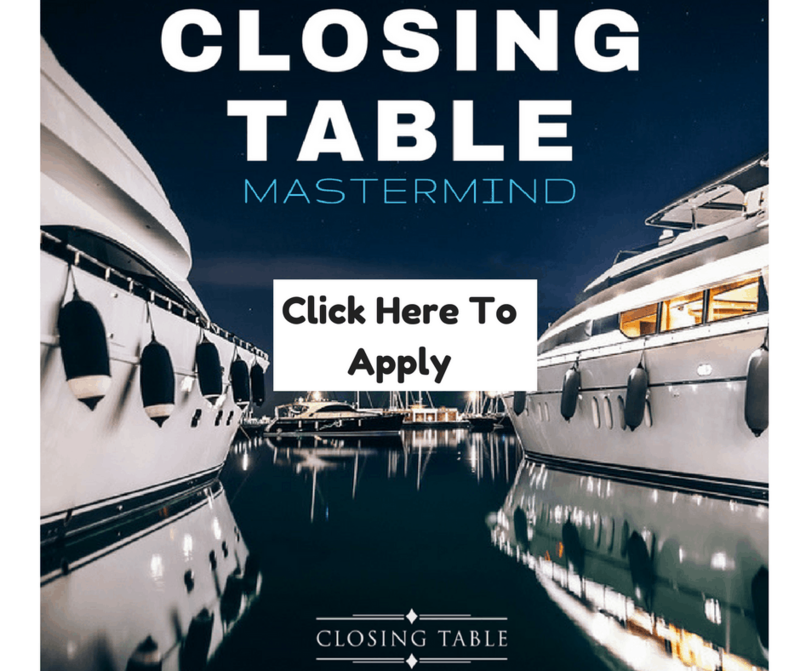 Let’s take into context a CMA or closing cost lead that would typically come off my website. You just built their trust telling the truth. NO MATTER WHAT THEY SAY, I SAY THIS NEXT. Here’s where I would go into my “positioning” talk you can read about on this article here. Also notice that my tone never changes. I rely on my marketing skills to educate and my tone for authenticity. Virtually every industry is built around customer service today so why wouldn’t you do the same thing in your business? Don’t confuse what customer service really means. Service is everything we do from getting coffee ready for our buyers to the strategic closing gift at closing. Customer service is also real estate scripting, but through authenticity. Believe it or not that simple phone call, text message, or email is when buyers or sellers decide if they can picture themselves to working with you. 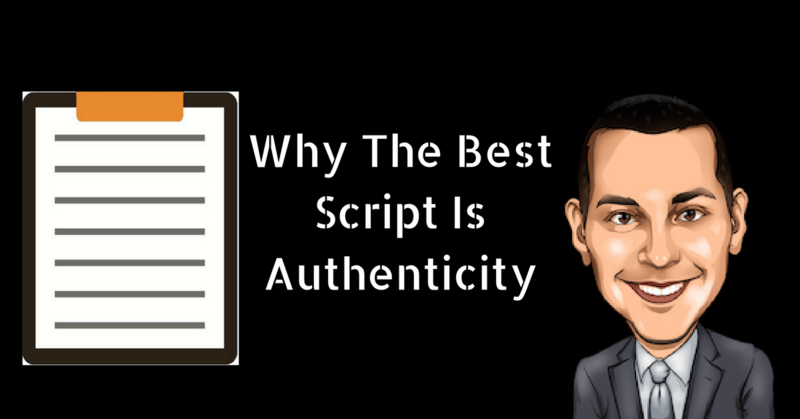 The question you need to ask yourself is if your real estate scripts are authentic or not. Then you need to determine if you are truly an expert in your local market and in facilitation. If not, get to work! Stop being so professional and start being more REAL and more people will be attracted to working with you. I thought it was really interesting how the article mentioned that a real estate agent can speak for you during tough transactions to keep things from getting too personal. My mother is thinking of selling her home and she has troubles with confronting people about things she is uncomfortable with. It would be helpful for her if someone can help ensure the sale of her home goes smoothly. Any agent should be doing that or they shouldn’t be licensed!